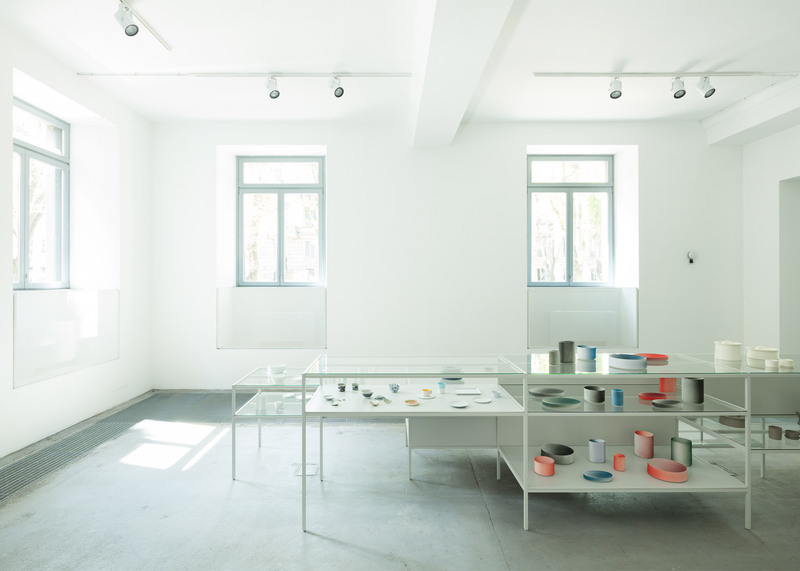 Milan 2016: sixteen designers including Scholten & Baijings, Stefan Diez and Tomas Alonso have created tableware with craftsmen from Arita, Japan, for a new brand supporting the town's 400-year-old porcelain industry (+ slideshow). 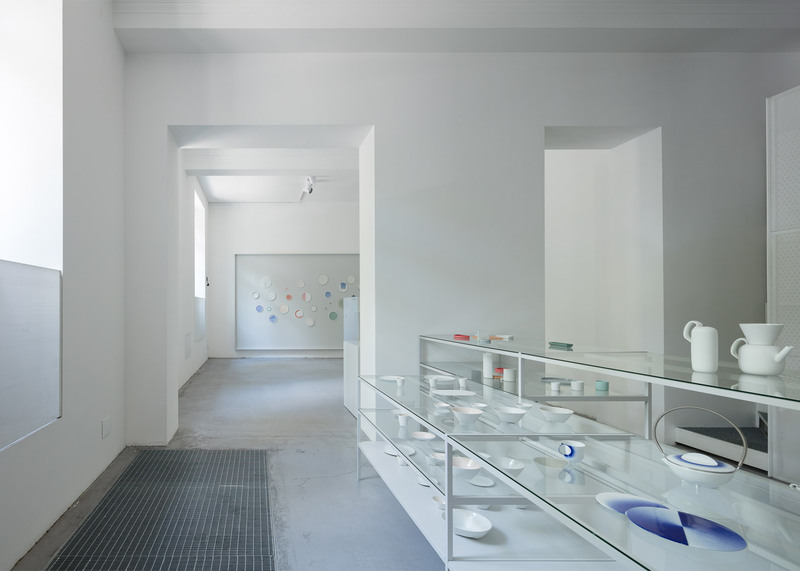 The range of pieces is on show at an exhibition in Milan as part of the debut collection from newly launched Japanese porcelain brand 2016/. 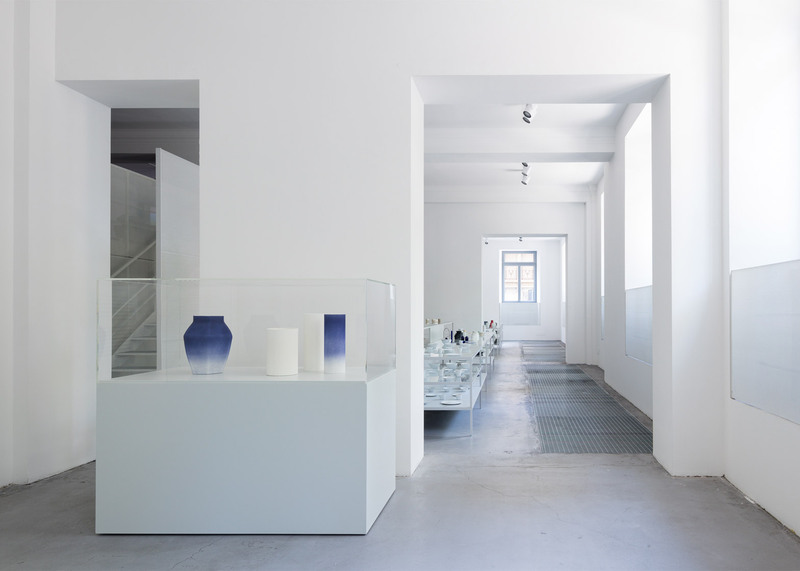 The concept behind 2016/ is to revive interest in and bring commerce back to the historic porcelain industry of Arita, which is made up of over 150 potteries. "They have had their ups and downs," said Stefan Scholten of Dutch design duo Scholten & Baijings, one 2016/'s three creative directors. "In the 1980s, Arita was booming because the automotive industry and electronic industry in Japan was sky-high," Scholten told Dezeen. "In the heydays of Japan, money was everywhere, then it went down, there were no new hotels, so no services and plates were needed so the industry was declining." "It was our job to give it a new contemporary input and to set up a new collaboration and interest for Arita," he added. 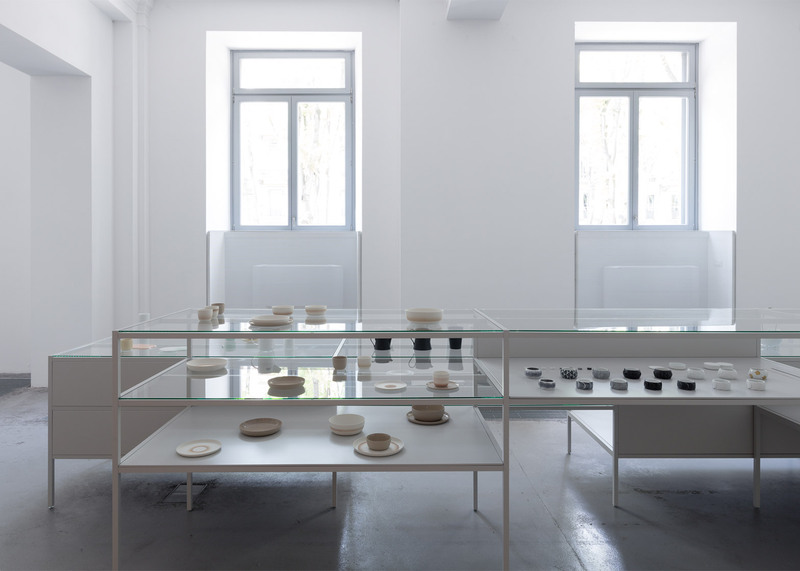 Scholten and partner Carole Baijings were invited by Arita pottery trading company Momota Touen to direct the project in partnership with Japanese designer Teruhiro Yanagihara, who they had previously worked with on the 1616/ Arita Japan collection in 2012. Using the formula of the previous collection, the trio invited both established and up-and-coming contemporary designers to partner with makers in Arita. "We looked carefully at the craft of the potteries, then we looked at the skills of the designers," said Scholten. "Then we mixed and matched a potter with a designer. We tried to find a spectrum of designers, a balance between experimental and established work that can lift a new brand to another level." London-based Tomas Alonso worked together with the Sehyou pottery to create series of colourful containers that are all based on a circle and made using moulds. The pieces do not have predetermined functions but can be used in different contexts and stacked in different arrangements. 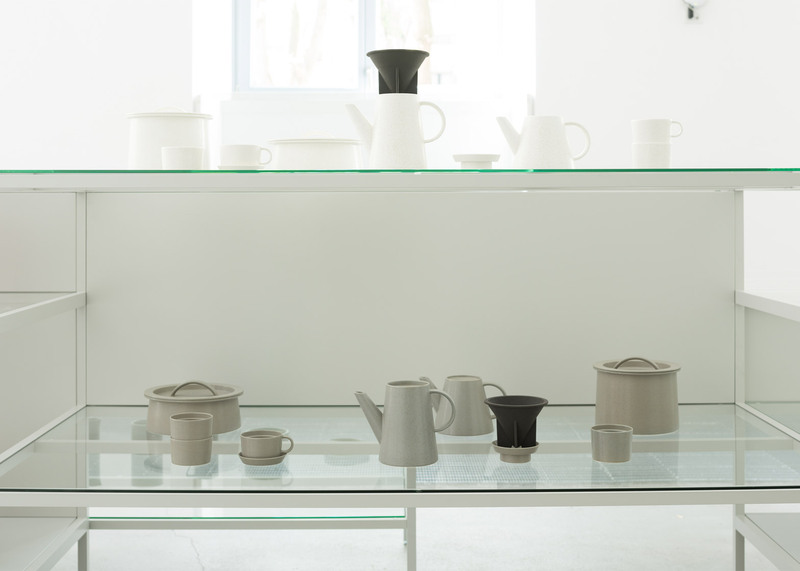 Swiss studio Big Game's stacking coffee set was produced by Kubota Minoru Ceramics. It is made from two materials; one that is porous, making it perfect for filtering coffee, and a second that is highly heat-resistant so it can be used directly on top of a stove, in the oven or the microwave. 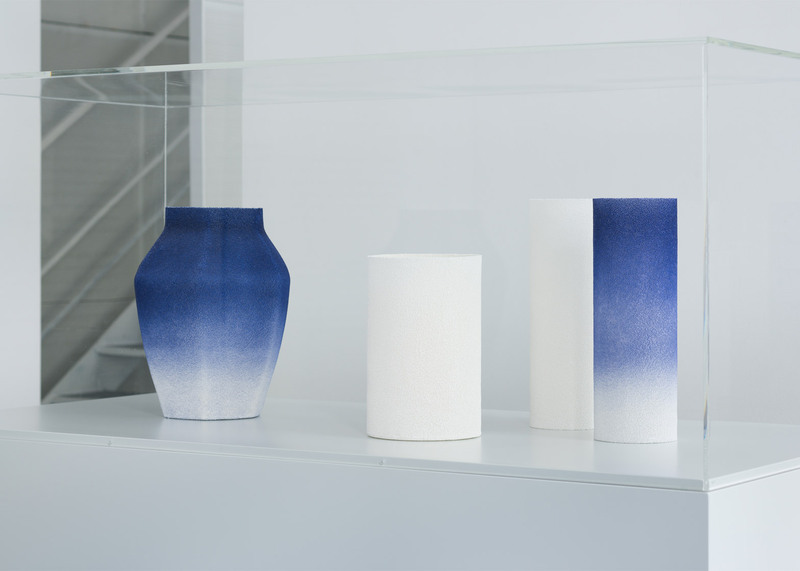 Metal stencils were used to spray abstract royal-blue motifs onto Dutch designer Wieki Somers and Koransha pottery's ceramics, while an airbrush painting technique called fukitsuke was used on Zurich designers Kueng Caputo's vases and bowls, made in collaboration with Kin'emon Toen pottery. 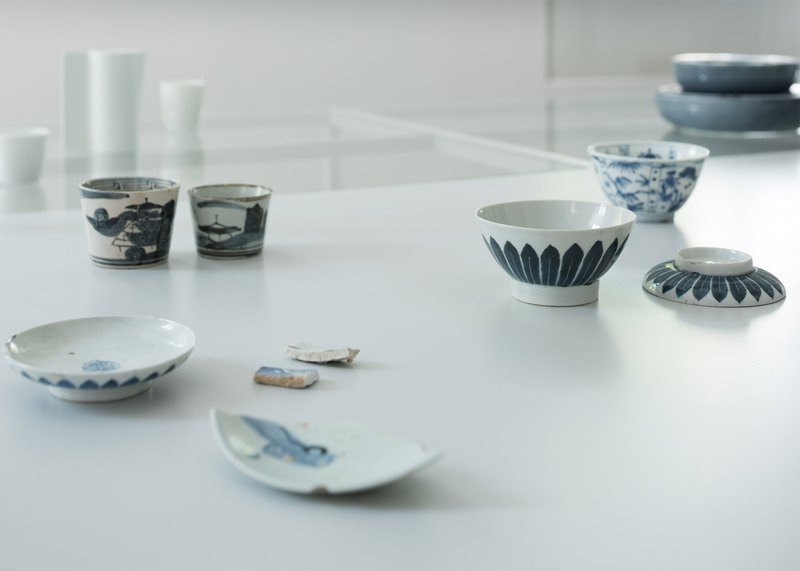 Netherlands designer Christien Meindertsma used Dutch table linen to model the shapes of cups, plates and bowls, which she made with Fujimaki Seitou pottery. 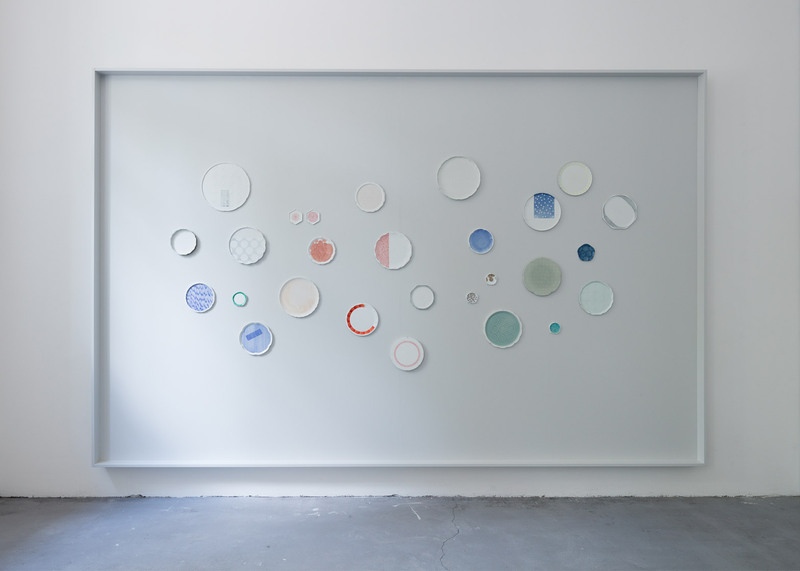 The pieces are covered in a colourful flecked glaze that incorporates waste porcelain material. German designer Diez and Kawazoe Seizan pottery created a collection of everyday white tableware with softly curved edges, shaped to "put the porcelain closer to the hand". Stockholm studio TAF's collection with Tokunaga pottery, which is designed for both children and adults, features plates shaped like spilled liquid. Munich designer Saskia Diez' collection with Hataman Touen Corporation appears to be covered in scales, intended to reference Japanese symbols of dragons, koi carp fish, snakes, waves and lotus flowers simultaneously. German designer Christian Haas' rounded plates and vessels, which he made with Housen pottery, have a debossed coded symbol hidden on the underside. Tokyo-based Shigeki Fujishiro chose the colour red for his collaboration with Kin'emon Toen pottery, due to both its predominance in Arita's history and because it is a symbolic colour of Japan. Swedish designer Ingegerd Råman, who worked with Koransha pottery, chose a velvety black glaze for her stacking tea set, with longevity in mind. 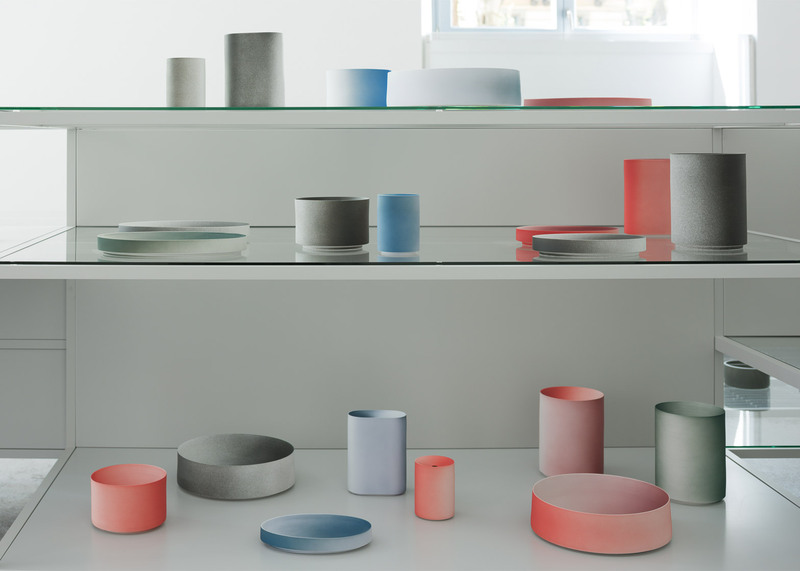 Other collections include a thick-bottomed tea set by French designer Pauline Deltour and Kouemon pottery; simple white tableware by New York-based Leon Ransmeier, and the Netherland's Kirstie van Noort's collection with Sehyo pottery, which features seven newly developed colours. Creative director Yanagihara has designed both a collection and a limited-edition work for 2016/. 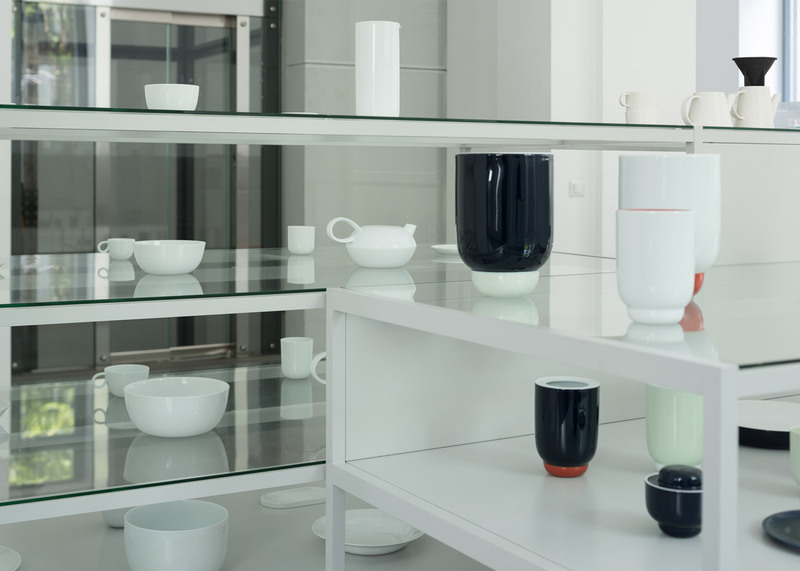 His standard tableware collection is stackable, simple, and able to be mass produced at low cost, while his large limited-edition vases are entirely impractical – they are made from porous porcelain and cannot hold water. 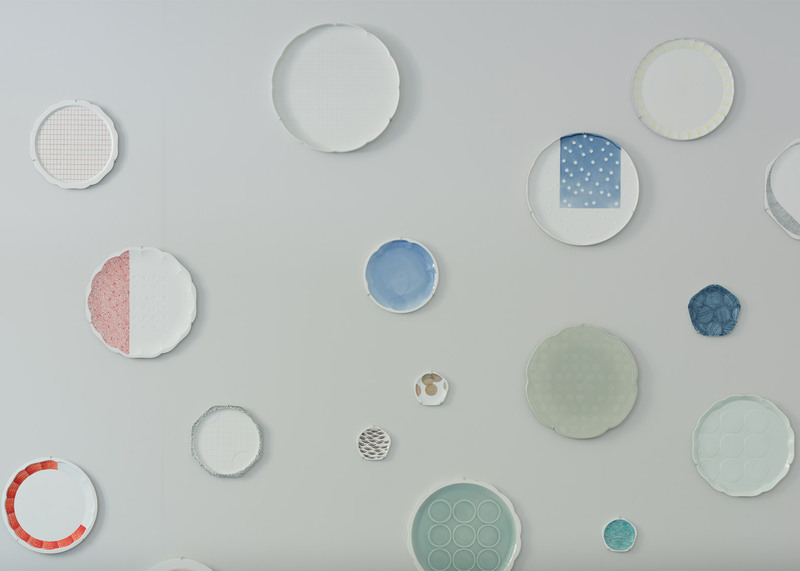 Scholten & Baijings created a limited-edition work of 27 hand-painted plates made with the Hataman Touen pottery. The plates each have patterned edges, intricate pastel-coloured patterns and milled embossed surfaces. "We looked at the plate contours, or outlines, of different periods of Arita pottery," said Carole Baijings. "By playing with different contours, we added them to a computer, then used them to make new plate forms." 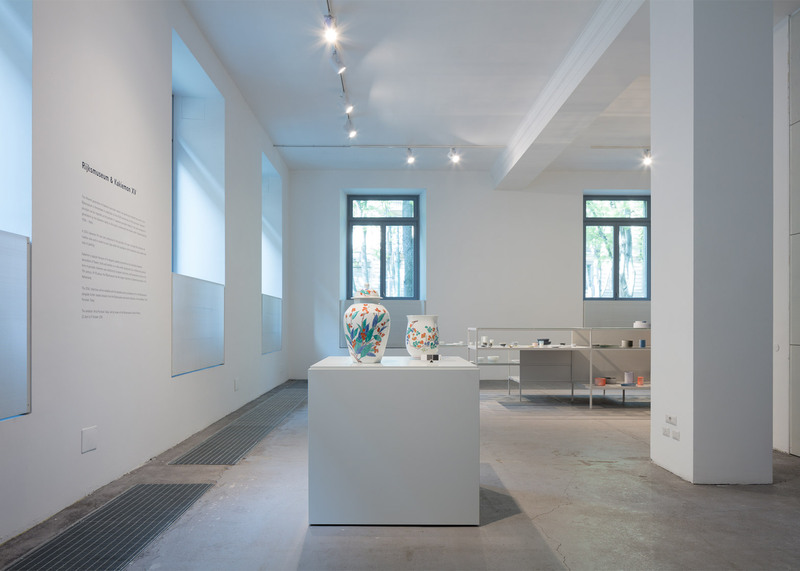 The 2016/ collection is on show Via delle Erbe 2 for the duration of Milan design week, which ends on 17 April. Other brands being launched in Milan this year include Sebastian Wrong and Hay's new lighting brand Wrong London and Stefano Giovannoni's internet-based plastic furniture brand Qeeboo. Installation photography is by Takumi Ota and product photography is by Scheltens & Abbenes.